Since I personally have started using this soap on my face and neck, the difference in my skin tone and clarity is quite suprising - and not much suprises me with soap anymore! :) Dead Sea Mud is rich in salt and minerals that help to gently cleanse and tone the skin, while the superfine particles lightly exfoliate dead skin cells, and leaving it soft and silky smooth. 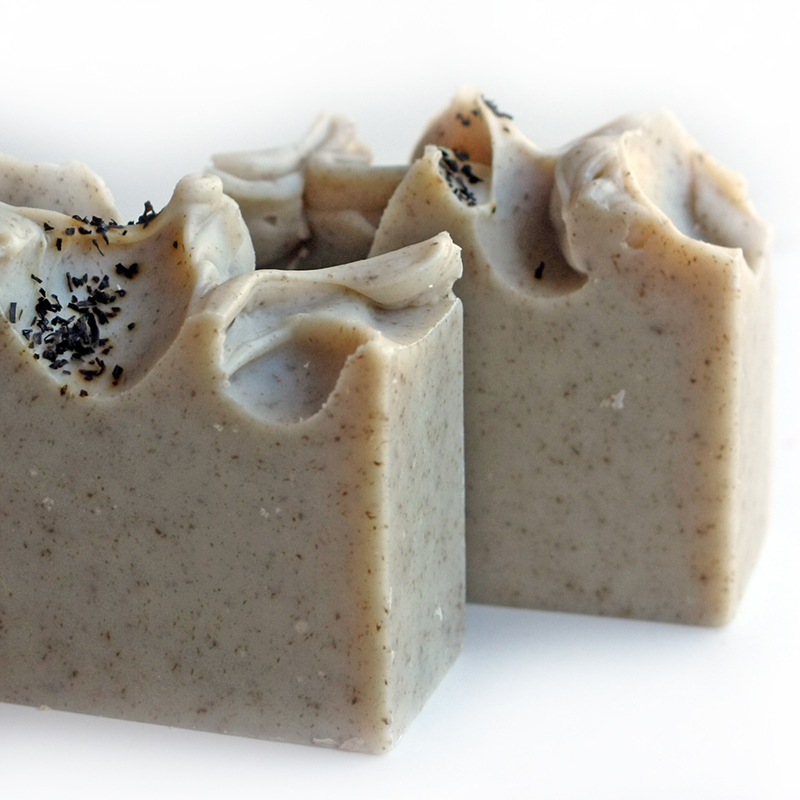 This soap is helpful for oily and acne prone skin, and is also wonderfully mild on sensitive skin. Ingredients: Saponified coconut oil, rice bran oil, olive oil (australian), jordanian dead sea mud, certified organic shea butter, eucalyptus, lavender and spearmint essential oils, black tea.